The social upheaval and social justice movements of the 60s and 70s that rocked the entire nation had a tremendous impact on Japanese Americans. The activism generated by the call for political empowerment and reform of this period has left a particular legacy still visible in organizational structures of the San Jose Japanese American community of today. Most credit two powerful social forces as creating a "Culture of Opposition" and setting off an explosion of activism and change that characterizes the 60s and 70s. The first is the Civil Rights Movement lead by African Americans for political power and an end to segregationist policies of the South, originally beginning in the 1950s. The second is the movement against the Vietnam War. Both inspired a generation of youth — Japanese American Sansei or third generation included — to become activists and organizers and to eventually use the experiences and skills gained from this period to transform their own communities. In the San Jose area, the Sansei were in high school or college and exposed to the events taking place in the Civil Rights and Anti-war movements. Learning about the history of racial persecution against African Americans and the imperialist practices supported by their nation's government, led some to reflect upon their own background as members of an ethnic minority. From this, two main trends help categorize the ways this period influenced the community, the development of the movement for Asian American Studies, and the "Serve the People" movement. Japanese Americans became active in promoting the study of their own people's history. Not finding it in existing school text books, they pushed for a rendering of a "true history" and the uncovering of a "buried past." The social justice movements lead them to see a common bond with other Asian Americans and people of color, including African Americans, Chicanos/Latinos, and Native Americans. At many universities including San Jose State University, Asian American students push for the establishment of Asian American Studies programs as a part of a general call for ethnic studies and what they felt would be a more accurate portrayal of US history. For the first time, many Japanese Americans began to study, research and write about the intense persecution faced by the Issei and Nisei (first and second generation Japanese Americans), and in particular, gained knowledge and interest in the wartime internment camps and dispersal of their communities. From this they began to place the internment and wartime experiences in a broader context, creating a rationale for why redress and compensation for the internment was a matter of civil and constitutional rights. The basis of the modern redress movement was born from this period. Sansei acquired the knowledge needed to re-cast the early efforts of Nisei to gain justice for the wartime violations as part of the agenda of the civil rights and social justice movements of the time. Ultimately the redress movement and resulting victory would help bring Nisei and Sansei generations together and create a new sense of purpose for the Japanese American community as a whole. One area where this can be seen today is in the heritage and preservation activities of the community. The movement for Asian American Studies generated a whole new interest in local history, including that of the San Jose Japanese American community. Sansei created an interest in oral histories of Issei and Nisei and began to work with the older generations to preserve the knowledge they had of Nihonmachi. They enlisted the interest of Nisei amateur historians and sought their support to create such organizations as the Japanese American Resource Center (now know as the Japanese American Museum of San Jose). 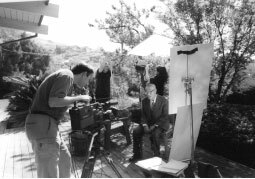 Such organizations were new to the community and the Sansei had provided the rationale based on ethnic studies as to why an ethnic specific heritage organization was needed.The call for political empowerment engendered by the redress movement and the social justice movements of this period also led Sansei to become active in the civic affairs of the community including electoral politics and city redevelopment issues. They worked with existing efforts lead by Nisei to gain political representation for Japanese Americans, becoming involved in such organizations as the Japanese American Citizens League. From this time period came individuals such as Norman Y. Mineta, former Mayor of San Jose, member of Congress and cabinet member, and a Sansei, Mike Honda, currently a member of the Congress. Additionally, they created new organizations such as the Nihonmachi Outreach Committee to ensure a voice in any attempts by the city to redevelop the Nihonmachi area. Much concern existed on the part of the Sansei that San Jose's Nihonmachi not face the same fate that Japanese American communities in San Francisco and Los Angeles had when large sections were torn down to make way for redevelopment projects for outside business interests. The community continues this involvement in its own development by maintaining connections with the city and involving local business representatives through the Japantown Business Association. The KTEH crew preparing to tape an interview with attorney, Peter Nakahara for Return to the Valley. Nakahara began his practice in the early 1950s in San Jose's Japantown. Though trained as an immigration and estate attorney, he took on many pro bono cases for Japanese Americans suing to regain lost property. Return to the Valley, KTEH. Lastly, the movements of the 60's and 70's instilled within Japanese Americans the desire to promote ethnic pride and to search out the roots of unique Japanese American cultural art forms to express and popularize their hard won heritage. A clear example of this is the development of the San Jose Taiko Group. Based on traditional Japanese drumming of the upper class and folk traditions, Sansei musicians in San Jose and other Japanese communities in the U.S. added American musical styles and sensibilities including rock and jazz improvisational styles creating a new form of musical expression. The San Jose Taiko group based in San Jose's Nihonmachi continues to perform and develop this art form. Activists of the 60s and 70s popularized the notion of "serving the people" and reconnecting with the community on a "grassroots level." For the Sansei inspired by this message, this meant going back and finding their ethnic community ties and creating activities to help their people. Sansei activist efforts focused on aiding the Issei, who were advanced in age and in need of basic social care. Many Issei were never able to make up for the losses they incurred due to their wartime internment and compounding this was the fact that most did not speak English and could not access existing senior services. After the war, the Japanese American community geographically dispersed, and the Nisei worked to establish themselves in the broader community. Many Issei were left without the elaborate social connections community ties provided prior to the war. Sansei students from San Jose State University active in social causes formed a group called Asians for Community Action and began a hot meal program for Issei that included an annual rice pounding celebration or "Mochitsuki." Their goal was to reestablish a sense of community destroyed by the internment and "forced dispersal." Nisei over time, joined the efforts of the Sansei seeing the potential in this activity to make up for some of the losses felt by their parents' generation. Providing more financial stability and tremendous logistical expertise, the Nisei helped transform the Sansei's original "serve the people" activity into the Yu-Ai Kai Japanese American Community Senior Service, a non-profit agency now operating in Nihonmachi. 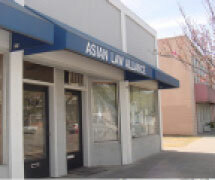 Founded in 1977, the Asian Law Alliance provides legal services, community education and advocacy to help realize the dream of equal justice for all. KTEH. In a similar way, law students from Santa Clara University Law School created the Asian Law Alliance to provide legal services to immigrant Asian Americans—including the Japanese American elderly—that due to language or finances could not acquire legal services. Activists who had formed similar agencies in other cities inspired these students - many of them Sansei - to create this organization. The "Serve the People" model promoted by many activist organizations during the 60's and 70's left a legacy still felt beyond the establishment of these particular non-profit agencies. Sansei activists with the eventual support of the Nisei helped generate a new sense of involvement in the community. It became a conscious activity that was deemed, socially and politically, to contribute to the greater "good" of the community and society as a whole. This period established a new call for community participation and involvement that went beyond family and business ties. In today's Japanese American community this has become a new tradition institutionalized in many of its social organizations whether of a civic, cultural, or service nature. In this way, the spirit of involvement forged from the activism of the 60s and 70s lives on today in Nihonmachi. There are many excellent books for younger readers about America's Civil Rights Movement, but there are few about community activism and the Movement from an Asian American perspective. This is a newer area of research and there are sure to be many more books and materials in the future. Banks, Jacqueline Turner (2001) A Day for Vincent Chin and Me, Houghton Mifflin, ISBN: 061813199X. The kids from Turner's popular novel, Project Wheels, come back in this sequel. It focuses on Tommy, a Japanese American sixth grader in Kentucky and his multicultural classmates, and their efforts to get a speed bump installed in the neighborhood. The parallel story is about Tommy's mother and her efforts to organize to fight racism and her group's efforts to mark the death of Vincent Chin — a young Asian American man who was killed as victim of a hate crime. Tommy does not understand why his mother wants to draw attention to his family's "Asian-ness" but through sensitive conversations with her, begins to understand the importance of community activism. This book is not meant for every student, but does explain about community activism in a manner most fifth and sixth graders will understand. Hamanaka, Sheila, The Journey: Japanese Americans, Racism, and Renewal, (1995) Demco Publishing, ISBN: 0606087877. This book is based on Hamanaka's 25-foot mural that depicts the experiences of Japanese Americans with emphasis upon the prejudice and injustice that culminated in their incarceration during World War II. Close-ups of the mural—along with a final panoramic view of its five panels—are accompanied by the author's own text. Berkeley Art Center Association. (2001) The Whole World's Watching: Peace and Social Justice Movements of the 1960s & 1970s. Berkley Art Center Association. This book contains a collection of photos and essays about the social justice movements of this period. There is an accompanying teaching guide. Book and guide are available from Berkeley Art Center at www.berkeleyartcenter.org. Maki, Mitchell, Kitano, Harry, and Berthold, S. Megan. (1999) Achieving the Impossible Dream: How Japanese Americans Obtained Redress. University of Illinois Press. ISBN: 0252067649 An important book chronicling the development of the movement for Japanese American redress. Salomon, Larry (1998) Roots of Justice: Stories of Organizing in Communities of Color, Josey-Bass Publishing, ISBN: 0787961787. These are the stories of people who fought back against exploitation and injustice - and won. From the Zoot Suiters who refused to put up with abuse at the hands of the Navy to the women who organized the welfare rights movement of the 1970s, Roots of Justice shows how, through organizing, ordinary people have made extraordinary contributions to change society. Tule Lake Committee. Kinenhi: Reflections on Tule Lake. Published by the Tule Lake Committee (1980). Essays, oral histories and photos collected regarding the pilgrimage to the former internment camp site of Tule Lake.This book is available through Alibris at www.alibris.com. Asian American Revolutionary Movement at www.aamovement.net. This site has downloadable "ezines." The site, which expresses viewpoints of many authors and groups, focuses on the Asian American Movement today. There are also articles about the past history of the movement.